Lord God, we recognise this is a day when You are moving upon nations, You are changing leaders, You are changing Governments, You are changing National and International Alliances. In the Name of Jesus, we declare in these days the United Kingdom will be positioned in every way for Your perfect plan and destiny. In the Name of Jesus, we shake ourselves out of apathy. We put down our own agendas, we put down our own preferences and our own understanding, and we declare Lord, this is a day to listen to Your Spirit, to hear Your voice and to know Your ways. We declare Your church will move, speak and pray according to Your purpose at this time. 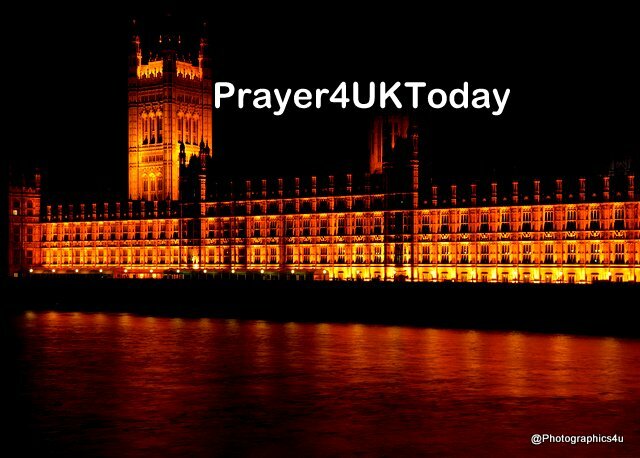 Now Lord, even as this is a time for Your Kingdom to be released within our land, we declare the Brexit terms will be legislated according to Heaven and bring convergence with Your appointed time. We decree any further debates, amendments or decisions, introduced by the UK Parliament, The Cabinet, the EU, Member States’ Parliaments or devolved Governments in the months ahead, will increase and not decrease alignment with Your Kingdom Purposes. In 1982 I was First Officer of an 8,000 ton ocean liner sailing South American waters: 300 volunteers from 35 nationalities, including 25 Brits and about 30 Argentine. The Bos'n was the senior Argentinian; I the British. In April came the Falklands crisis. Warm fellowship cooled. Familiar friendly greetings turned to embarrassed silence. Departmental organisation suffered. I met the Bos'n on deck. ‘Roberto’ I said. ‘Can we pray for some solution?’ So all the Argentine and British volunteers met to pray that afternoon. And peace, with some tears, returned to us. And us to our calling.